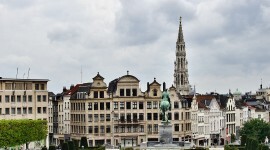 The latest image in my Forgotten Postcards series comes from Brussels’ Grand Place. This is the top of the Maison du Roi (House of the king in French). In Dutch it is known as the Broodhuis(or Bread house) because it stands on the spot of the former 13th century bakers’ market. 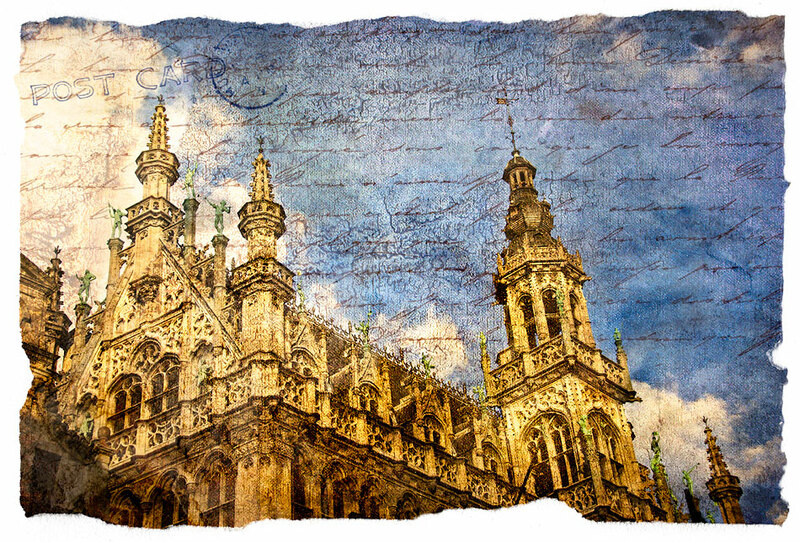 This entry was posted on Wednesday, August 19th, 2009 at 16:32 and is filed under Digital Art, Forgotten Postcards and tagged with "grand place", "maison du roi", architecture, art, Belgium, Broodhuis, brussels, digital, forgotten, photoshop, postcard, Travel, unesco. You can follow any responses to this entry through the RSS 2.0 feed.